Parkinson’s disease is a neurodegenerative disorder characterized by a variety of motor symptoms, including several impairments in the speech production process. 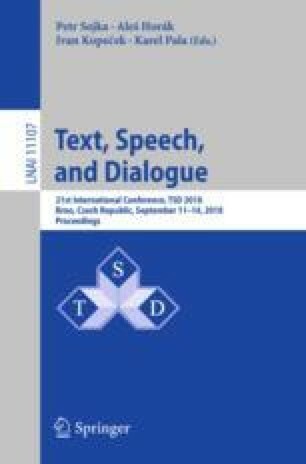 Recent studies show that deep learning models are highly accurate to assess the speech deficits of the patients; however most of the architectures consider static features computed from a complete utterance. Such an approach is not suitable to model the dynamics of the speech signal when the patients pronounce different sounds. Phonological features can be used to characterize the voice quality of the speech, which is highly impaired in patients suffering from Parkinson’s disease. This study proposes a deep architecture based on recurrent neural networks with gated recurrent units combined with phonological posteriors to assess the speech deficits of Parkinson’s patients. The aim is to model the time-dependence of consecutive phonological posteriors, which follow the sound patterns of English phonological model. The results show that the proposed approach is more accurate than a baseline based on standard acoustic features to assess the speech deficits of the patients. The work reported here was financed by CODI from University of Antioquia by grants Number 2015–7683. This project has received funding from the European Union’s Horizon 2020 research and innovation programme under the Marie Skłodowska-Curie Grant Agreement No. 766287.